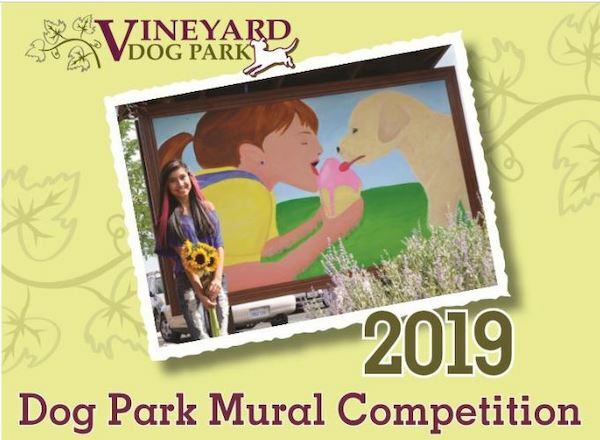 –Vineyard Dog Park organizers are holding an art competition to create an outdoor mural for the Templeton dog park. The competition is open to all artists and a cash prize of $750 will be given to the winning design and completion of the 4’ x 7’ mural. The design must be an 8” x 14” original color concept drawing in pencil, watercolor, or color markers. Designs must be received by March 15 and winners will be notified by April 1. The mural must be completed by Sept. 15. The full-color mural should include at least one of the following elements: dogs and their people in various activities, vineyards and hillsides, park amenities (trees, landscaping, Frisbees, tennis ball, swimming pool), native plants, or wildlife (butterflies, birds, deer, etc.). Contest entries may be mailed to Vineyard Dog Park, PO Box 1081, Templeton 93465 or hand delivered to Templeton Community Services District office located at 420 Crocker Street in downtown Templeton. Entries may also be scanned and submitted by email to hello@parks4pups.org . 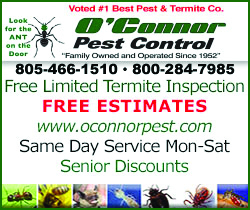 The winner will receive a $750 cash prize paid at the completion of the project. The 4’ x 7’ panel will be supplied to the artist. The mural may be painted in the artist’s studio or on-site at the dog park. The artist must supply paint brushes and acrylic paints to complete the mural. An artist reception will be held at the public unveiling of the mural. For more information, visit www.parks4pups.org or contact Paula O’Farrell at (805)239 -4437 or by email at hello@parks4pups.org.